The Tabularium was commissioned in 78BC by the order of Q. Lutatius Catulus and restored in 46AD by Claudius. It's function was to store state archives; deeds, laws, treaties and decrees of senate. The name Tabularium is Latin for a record office or registry. Although this building seems like nothing more than a state library it is actually very significant, which is why it is found near the Rostra as well as some of the Temples. It held most the information about those Temples and the laws that existed back in its time. Today the Tabularium is still standing and can be seen to have two different colours, grey at the bottom due to being older and the top has either been added or restored but it is difficult to say which it was. The Tabularium had two inscriptions found in the building; its second story shows evidence that it was either an addition or renovation at about the end of the first century, but it is difficult to say which. There’s a blank space in history about the Tabularium from around this time at the end of the first century to the reign of Boniface VIII in around 1300AD. The masonry of the Tabularium is said to show the best republican workmanship, with block two Roman feet in height and width and averaging four in length. They’re laid in headers and stretchers with a thin layer of cement. The outer walls are made of Sperone or Gabine Stone. Unfortunately the Tabularium’s inner walls have suffered from corrosion. The Tabularium is on the Western side of the Roman Forum, and the south-eastern slope of the Capitoline hill. Michelangelo when making his palace on the Capitoline Hill incorporated the Tabularium into it by making it the back wall of his palace. It is said that the Tabularium offers a great view of the Roman Forum from its top story, as well as making a dramatic backdrop on the Western end of the forum. The Tabularium is near a few Temples which it probably held some of their records as well as being near the Rostra or speaking platform, this is to make its purpose easier so it can keep the information about these places and events that may have occurred there secure. ﻿﻿ The Tabularium is on the Western side of the Roman Forum, and the south-eastern slope of the Capitoline hill. Michelangelo when making his palace on the Capitoline Hill incorporated the Tabularium into it by making it the back wall of his palace. It is said that the Tabularium offers a great view of the Roman Forum from its top story, as well as making a dramatic backdrop on the Western end of the forum. The Tabularium is near a few Temples which it probably holds some of their records as well as being near the Rostra or speaking platform, this is to make its purpose easier so it can keep the information about these places secure. The Tabularium is on the Western side of the Roman Forum, and the south-eastern slope of the Capitoline hill. Michelangelo when making his palace on the Capitoline Hill incorporated the Tabularium into it by making it the back wall of his palace. It is said that the Tabularium offers a great view of the Roman Forum from its top story, as well as making a dramatic backdrop on the Western end of the forum. The Tabularium is near a few Temples which it probably holds some of their records as well as being near the Rostra or speaking platform, this is to make its purpose easier so it can keep the information about these places secure. The Tabularium was the official public Record office of ancient Rome in the time of the late republic. The Tabularium also supported the aerarium of the temple of Saturn as well as housing many of the city official’s offices and showed a tendency to absorb records of various administrative groups. There is also evidence about the Tabularium that between the XIV and the XVII centuries it may have been used for the storage and sale of salt in the Middle Ages. The Tabularium also holds evidence suggesting that other parts of the Tabularium could have been a used as a prison. The Tabularium may have been seen as unimportant at a stage in its life due to the fact that its main entrance was blocked by the Temple of Vespasian. The Tabularium was the official public Record office of ancient Rome in the time of the late republic. The Tabularium was the official public Record office of ancient Rome in the time of the late republic. 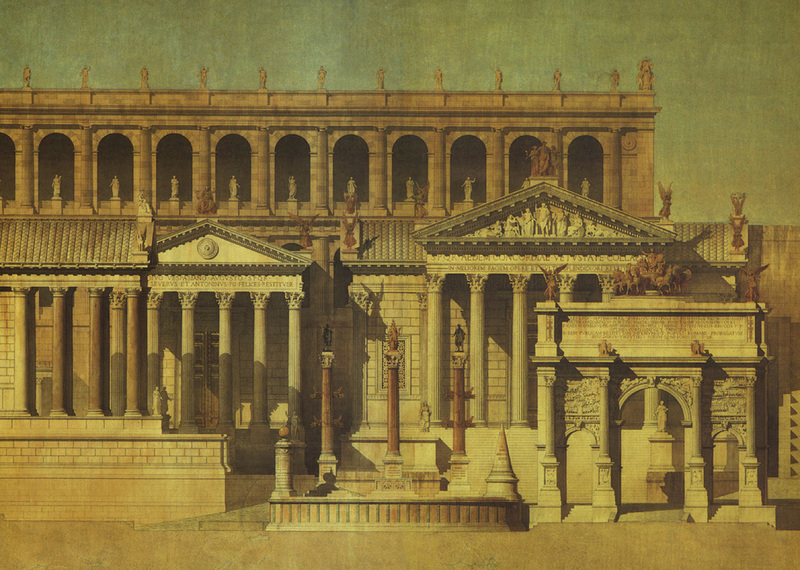 The Tabularium also supported the aerarium of the temple of Saturn as well as housing many of the city official’s offices and showed a tendency to absorb records of various administrative groups. There is also evidence about the Tabularium that between the XIV and the XVII centuries it may have been used for the storage and sale of salt in the Middle Ages. The Tabularium also holds evidence suggesting that other parts of the Tabularium could have been a used as a prison. The Tabularium may have been seen as unimportant at a stage in its life due to the fact that its main entrance was blocked by the Temple of Vespasian. How many different purposes has the Tabularium had? What was the age of the building when Claudius had it renovated?